How to Animate Puppets will help you to be a better animator. With over three hours of video, every possible animation trick is explained. This video has been converted from our two DVD disk set into a 1.5 Gig DivX file for our international customers who don't want to wait or pay for shipping. 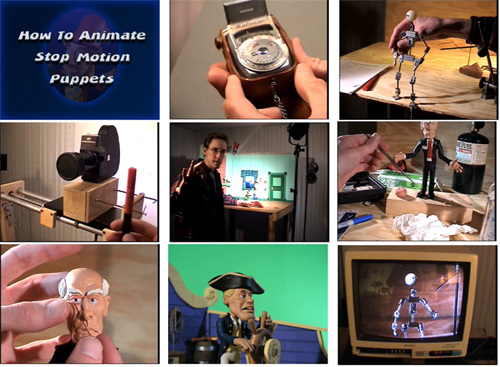 How to Animate Puppets will make it easy for you to understand all of these secrets and more! If your thinking of getting a job in this field, this video is the #1 source of this hard to find information. Please see our download help page if you should have any issues while trying to download our files by clicking here. See the new video tutorial update to this older video on our page by clicking here.